What Types of Coats Can a Miniature Schnauzer Have? Nowadays there are three types of coats a Miniature Schnauzer can have. There is the Traditional Coat, which comes in a soft (smooth texture) or wiry (coarse texture). The Super Coat has a little more volume than the Traditional and is normally soft. Then there is the Mega Coat; this one is the thickest with the most volume and is also usually soft. Are They All Still Purebred Schnauzers? YES, they are still Purebreds. There is also a lot of nonsense on this topic going around on the web as well. Some people are trying to say that these different coat types are not purebreds, that they shed and this and so on but it's not true. I own every kind of coat there is, they DONT shed, and they ARE still purebreds. I have certified paperwork from AKC and breed certificates through embark vet proving they are 100% schnauzer on every one. If you would like to see for yourself, you are more than welcome to come here. Just give us a call, and we can schedule a day for you to come. 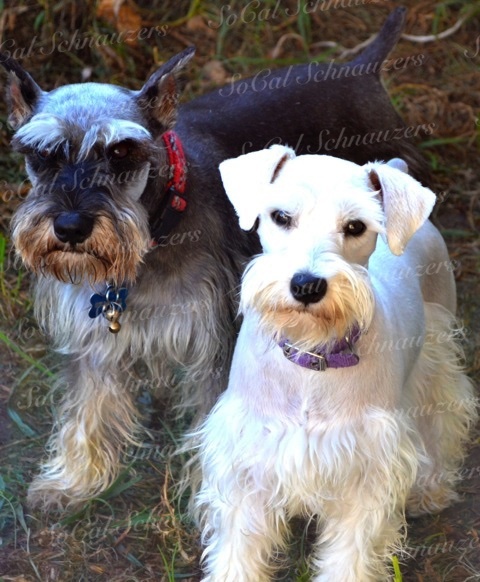 Miniature, Toy & Teacup Schnauzers do not shed. They are considered to be hypoallergenic, making them an excellent choice for people with allergies. About 10% of the population is allergic to animals, but is there a breed that does not trigger an allergic reaction to occur? Honestly, there no such a thing as an actual hypoallergenic dog. What triggers allergy flare-ups are: dander (flakes of the dog's skin), saliva and urine. And no matter what you do, EVERY dog produces these. To find the right dog breed, an allergy sufferer should consider a kind that has the least amount of dander and does not shed, slobber or drool a great deal. Every person will have their own allergic severity to particular dogs, their saliva and dander they produce. 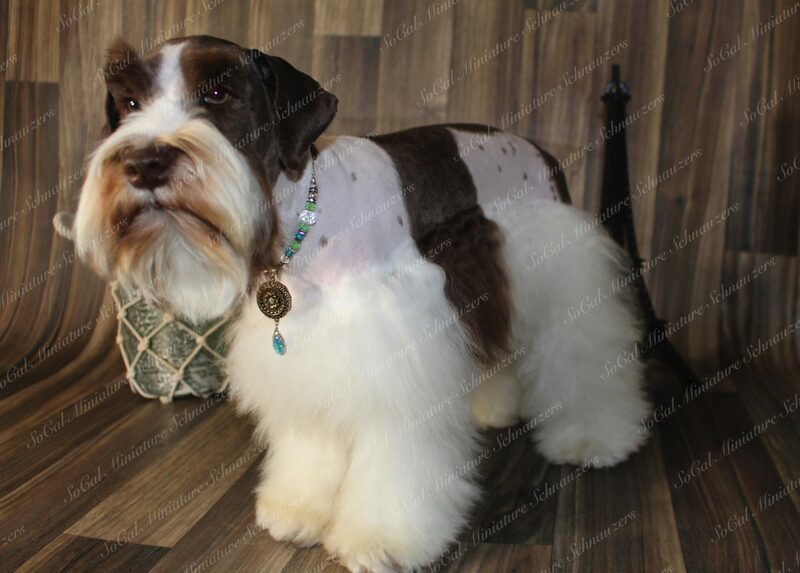 Schnauzers, don’t shed a lot plus they get groomed frequently. This frequent grooming washes away some of the loose dander allergens from their skin, they also do not drool and slobber a lot. This is why this breed is considered to be hypoallergenic, and therefore would be a much better choice for allergy sufferers than other dog breeds. 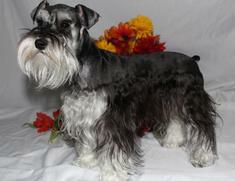 Miniature Schnauzers are on the top 10 best dog breeds list for allergy sufferers. Luckily, Schnauzers are less likely to cause an allergy reaction. So there is no reason why allergy sufferers have to live a life without a loving companion as a friend. 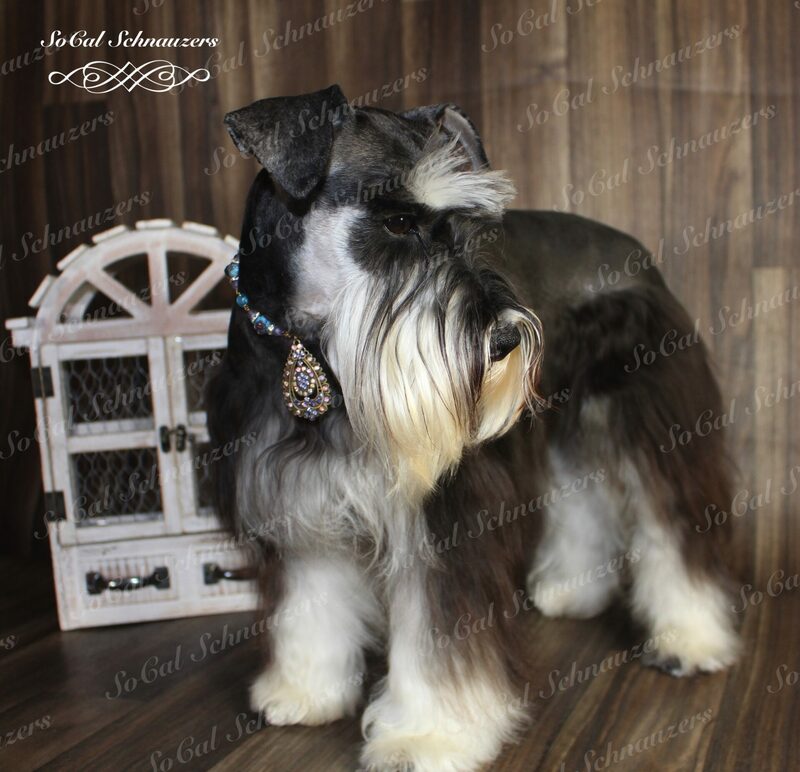 The traditional coat it is found on any size schnauzer, it is very thin and does not grow very long. Some of these coats have a softer feel and others can have a wirier texture to them. 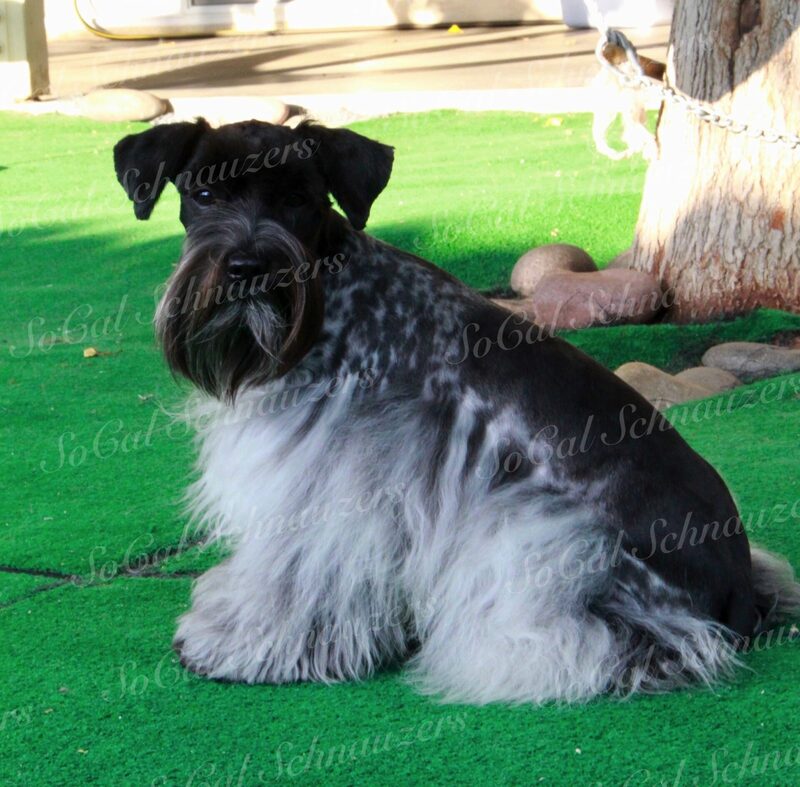 This is the most common coat type in the larger miniature sized schnauzers that grow to be 12-24lbs.. The Super Coat has a thicker more fluffy appearance to it compared to the traditional coats. The Super Coat is in between the traditional and megs coats. The Mega Coat is the thickest most luxurious coat Schnzuers can come in. The coat is thick yet soft and can sometimes grow out to the floor all the way around if you let it grow out. It's absolutely stunning.